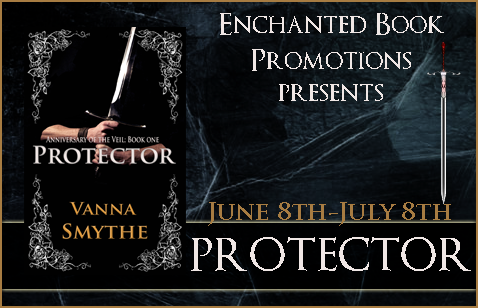 Blurb: Kiyarran just wanted to become a Protector of the Realm, a member of an elite order of fighters. Strange and powerful magical abilities awaken inside him once his wish comes true. 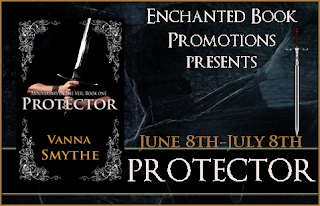 The Priesthood that secretly controls the realm see his skill as a threat, and Kiyarran begins to learn that little about life as a Protector is what he thought it would be. To top it off, Kiyarran is falling in love with Princess Issiyanna, his friend of many years. 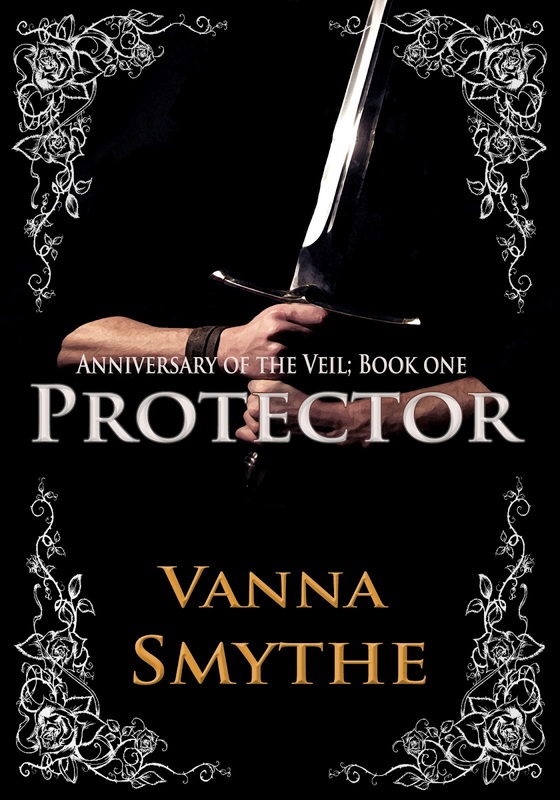 About the author: Vanna Smythe is the author of Protector, the first book in the Anniversary of the Veil fantasy series. She has been writing creatively since her early teens, though one could say her creative writing efforts started long before that. 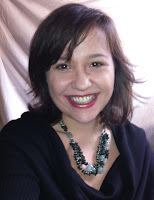 While still in kindergarten, she once tore up a library book to make alphabet soup, and has been fascinated with what words can do, the pictures and worlds they can create, ever since. 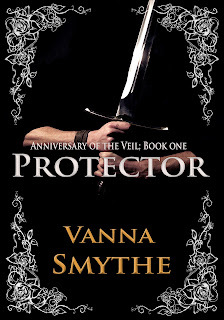 Book two of the Anniversary of the Veil series, Decision Maker, is due out in Autumn, 2012.